You may have noticed that The Country Catalogue stocks a large variety of not only Dog Themed Gifts and Homeware but more specifically Labrador merchandise. From Black Labrador Hanging Metal Sign to a Sleeping Labrador Country Umbrella, The Country Catalogue can offer you a range of gift ideas for dog lovers and Labrador owners. So what makes Labradors so popular? Well, probably because Labs have the reputation of being one of the most sweet-natured breeds out there. They may be loving, outgoing and friendly but Labradors are also renowned for their ability to eat, eat and eat! 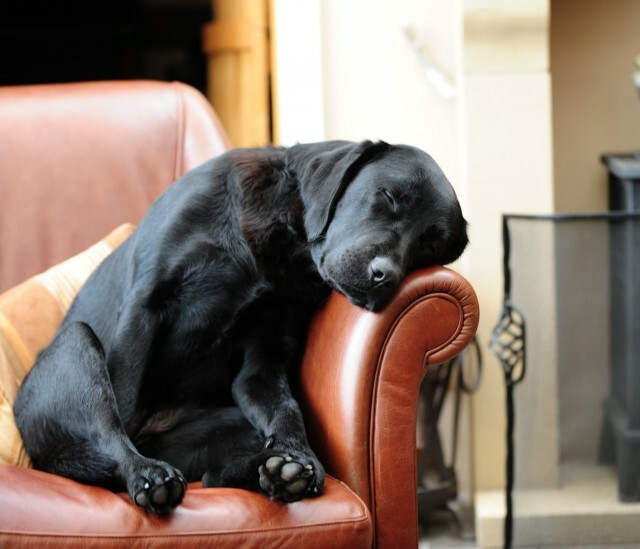 Despite all this, Labradors are highly intelligent dogs and are also famous for being excellent working and gundogs. They work quietly alongside hunters while watching for birds to fall from the sky, marking where they land, and then using their outstanding nose to find and retrieve dead or wounded birds. Although The Country Catalogue is primarily known for its range of shooting clothing for the whole family, we also believe we can help our customers find the perfect gifts this festive season. Brand new in stock is the Iron Dog Tail Hooks On Slate which is ideal for hanging up coats, jackets, dog leads & whistles etc whilst adding a touch of humour to your home! "All You Need Is Love And A Dog" block sign would make an excellent stocking filler for men or women, it is versatile since it can be hung up on a wall or free standing. Here at The Country Catalogue we stock Labrador Placemats with matching Labrador Coasters. These are exceedingly popular which is no surprise since they are illustrated with beautiful photographs of Labradors that are sure to complete the look of a country dining table. Alternatively, if you are looking for something quirky and different, Sleeping Lab Mini Tray is ideal for serving biscuits with a cup of tea or coffee. For the men in your life who love Labradors, you might want to take a look at the Black Labrador Tie which is available in two colours whilst stocks last - Olive or Wine. Ideal as a part of a shooting outfit or smart country look. Why not complete the look with stylish Black Labrador Cufflinks? For ladies who love cooking and baking, the Sophie Allport Black Labrador Apron and Sophie Allport Black Labrador Double Oven Gloves are the perfect presents.